A fantastic thread for creating the look of sunlight on the water, or eye light in portraits of people or pets! This thread is a flat Polyester Film metallized with Aluminum. 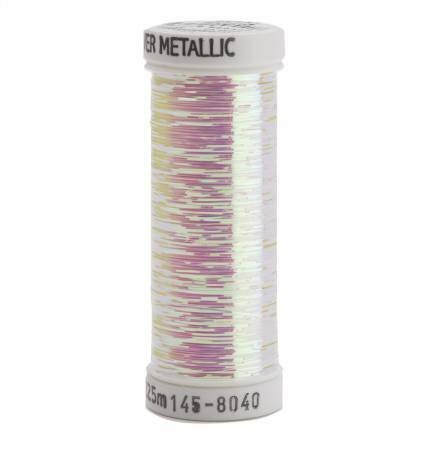 Great for embroidery and because it's not wrapped you won't have to worry about it breaking as much as normal metalics.